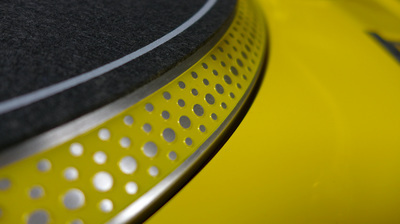 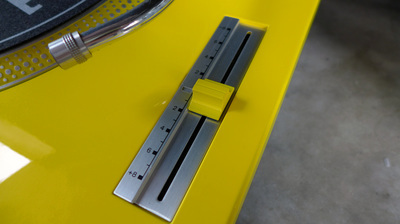 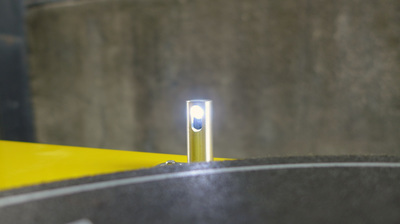 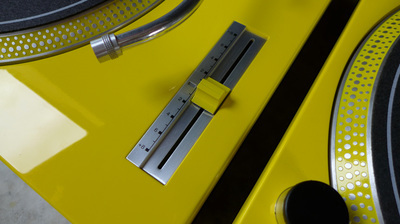 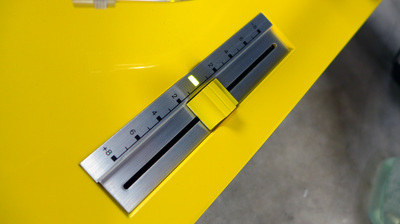 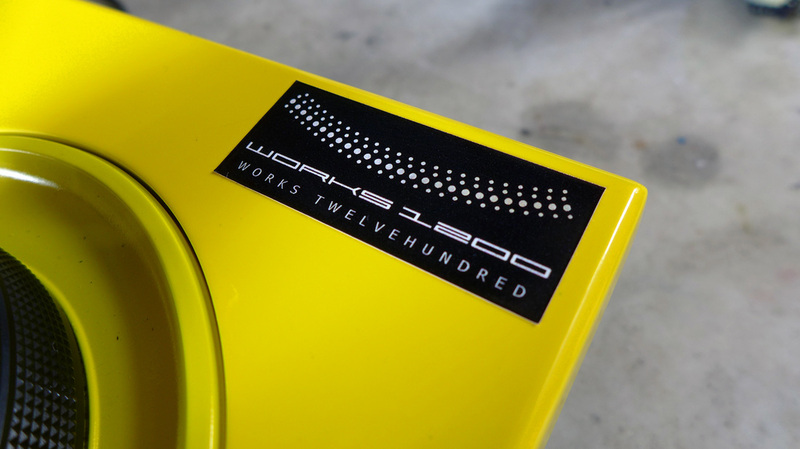 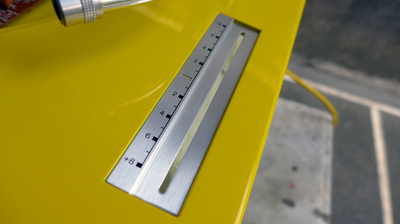 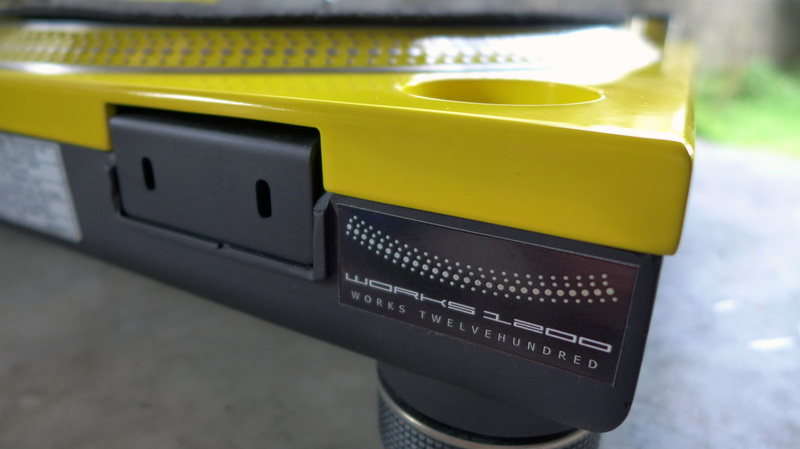 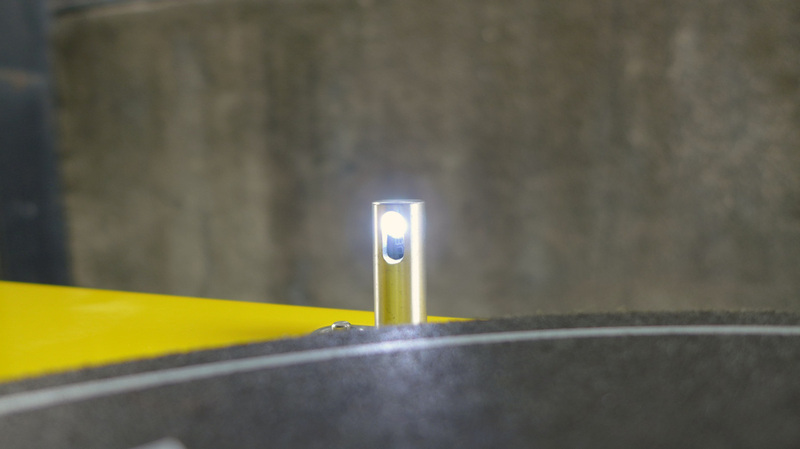 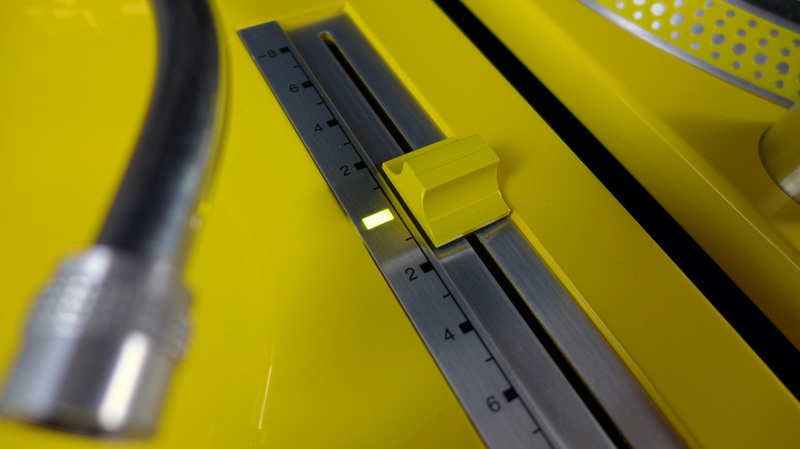 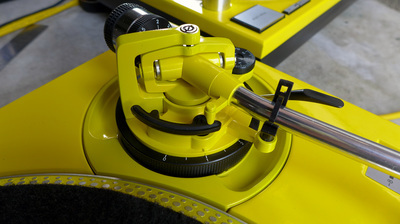 Main diecast frame and tonearm sections are finished in glossy bright yellow. 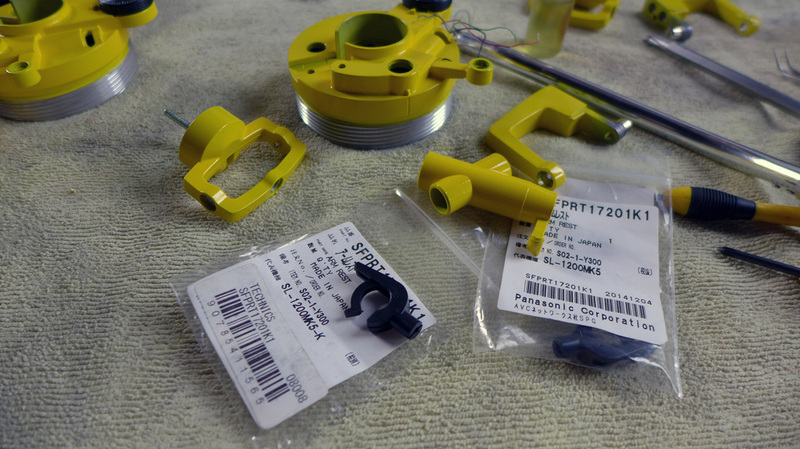 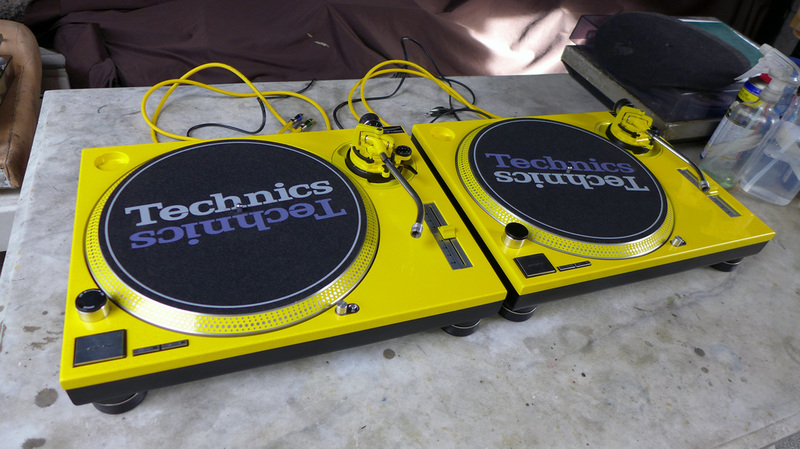 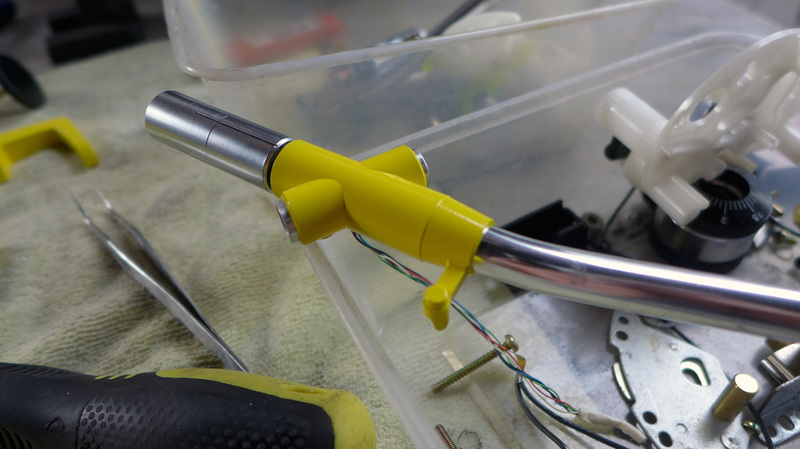 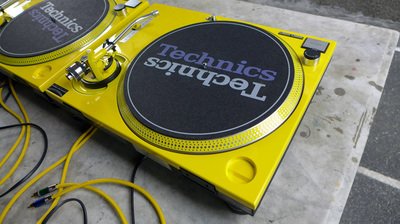 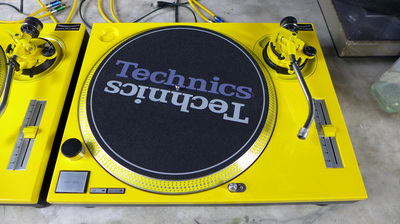 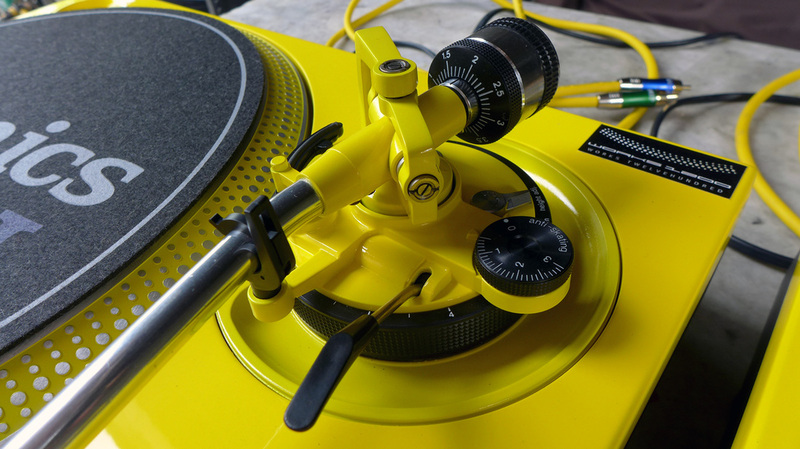 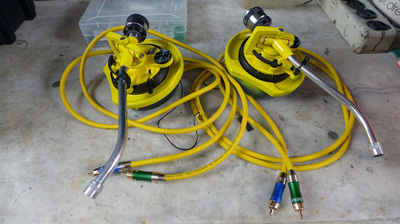 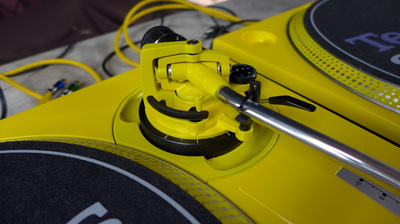 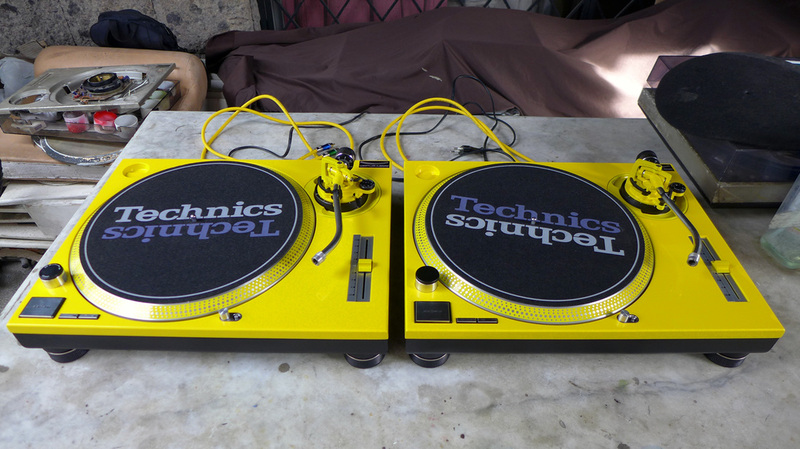 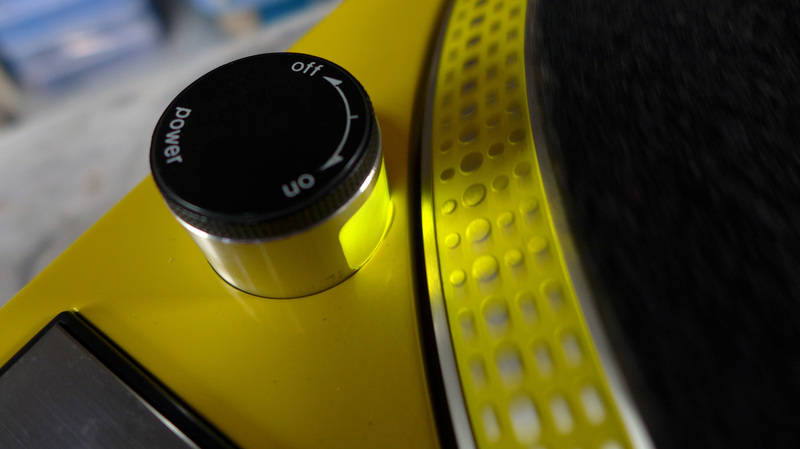 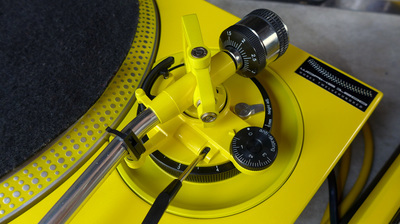 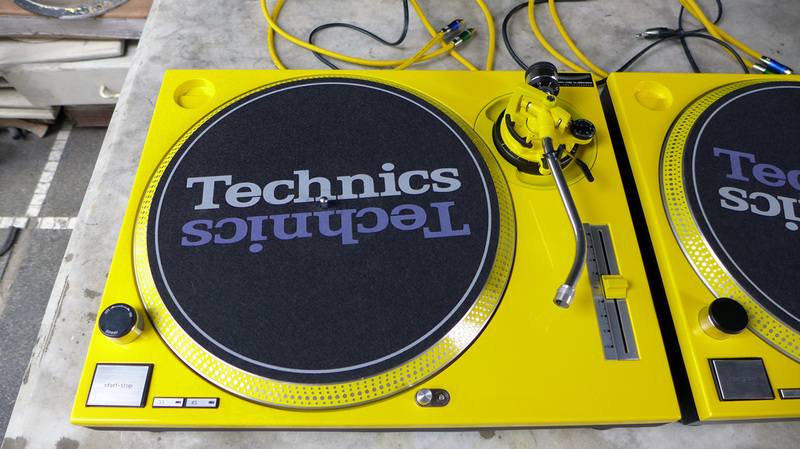 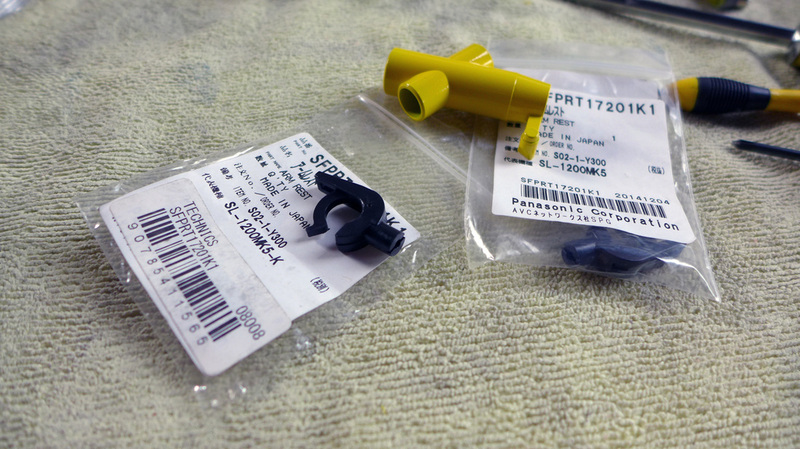 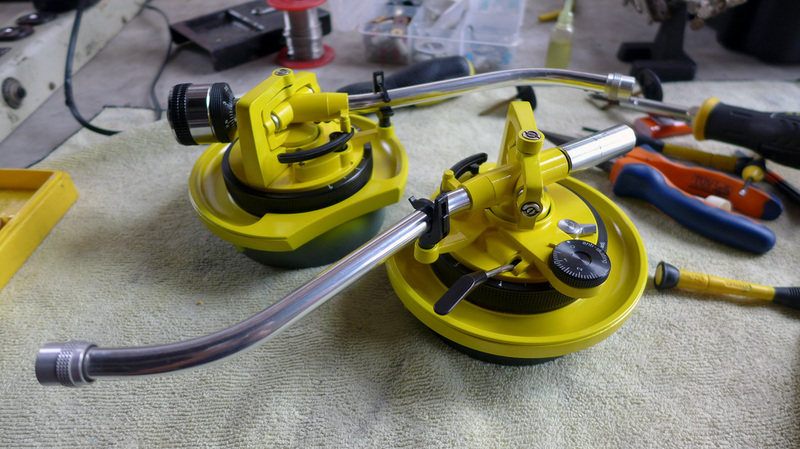 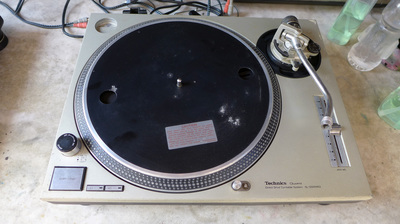 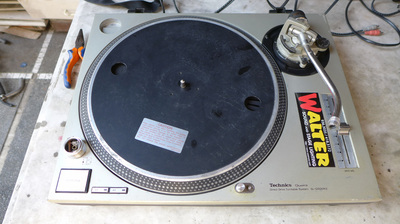 Tonearm assembly and mount are also repainted to yellow as well as the platters and pitch knobs. 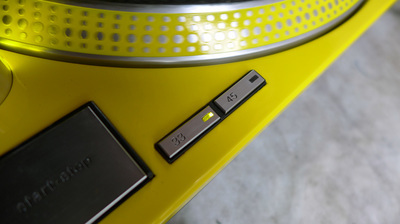 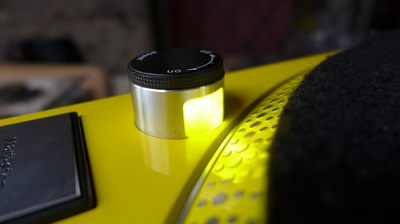 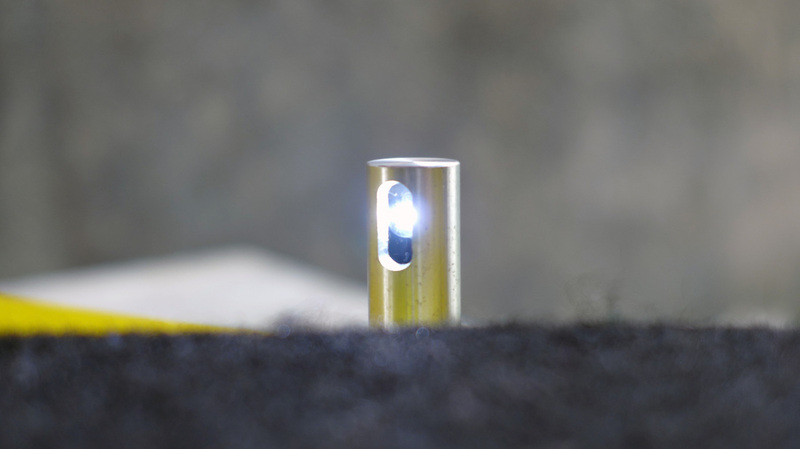 Strobe, 33/45 and pitch indicator LEDs were replaced with super bright yellow as well as converted Pop-up lamps fitted with super bright white LEDs. 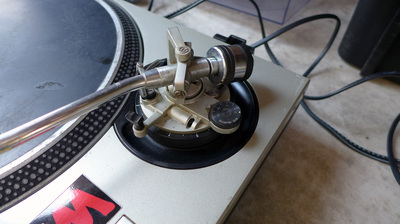 RCA cables and connectors replaced with internal grounding and tonearms rebuilt and calibrated to factory setting. 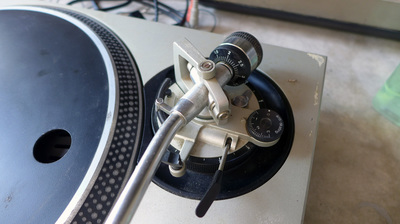 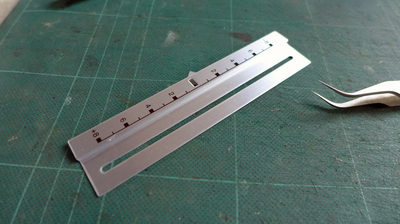 Both units were also installed with new tonearm clips. The rubber base were repainted to flat black. Pitch controls calibrated and applied with new silver aluminum pitch decal ornaments. Platter refaced (3-step) and repainted, Pitch control knobs repainted because the original color have faded already. 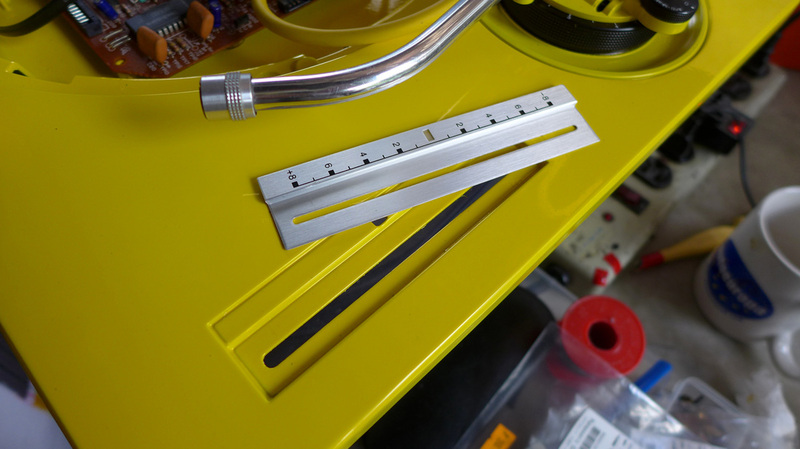 Switch assembly (Switch, start/stop, 33/45 buttons) and PCBs cleaned. Pivot bearings and motor spindle lubricated.